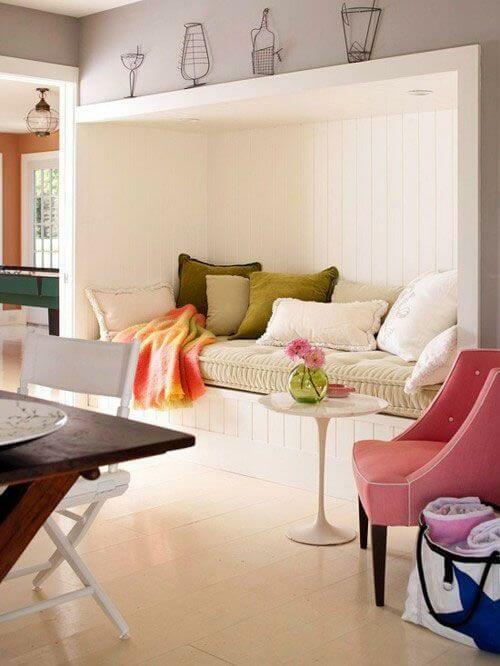 Did you always dreamed of having a reading nook just for you? Where you could read and relax comfortably in the middle of fluffy pillows and good books… We gathered the best examples to inspire you, one for each room of the house. 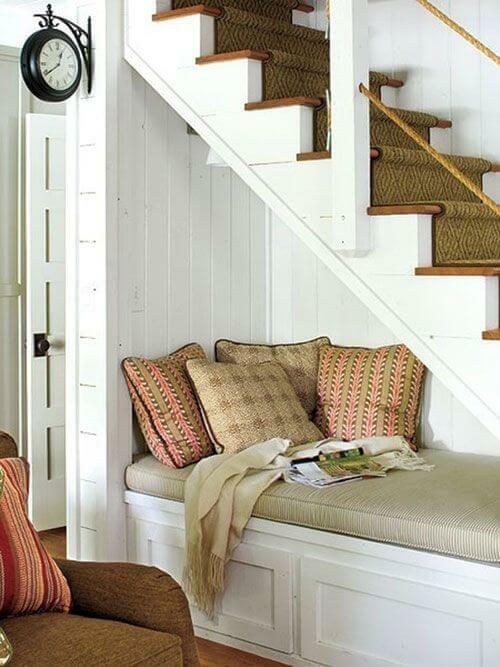 This usually wasted space is great to create a cozy reading area. Some kids love to read! 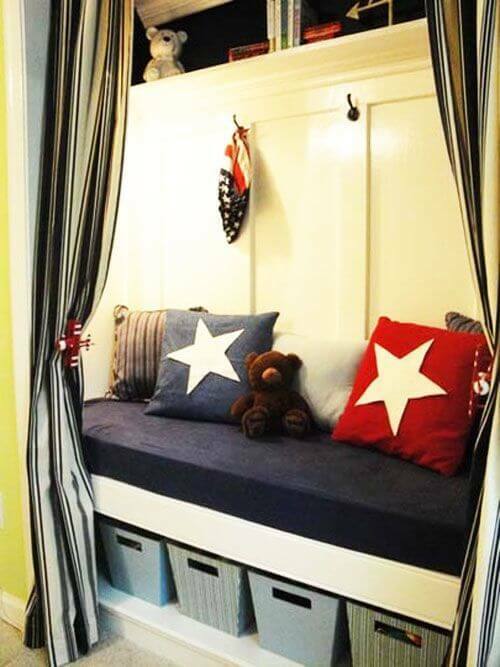 You can transform a regular closet into a fabulous reading spot with a lot of storage and also lighting. 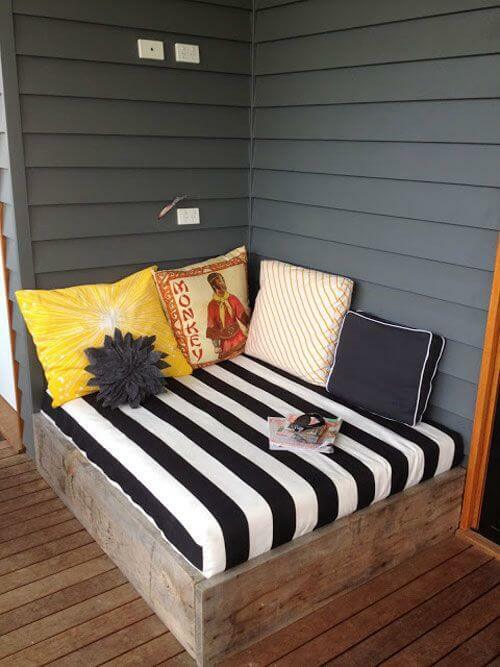 Turn an empty corner on your porch into a comfortable reading nook. 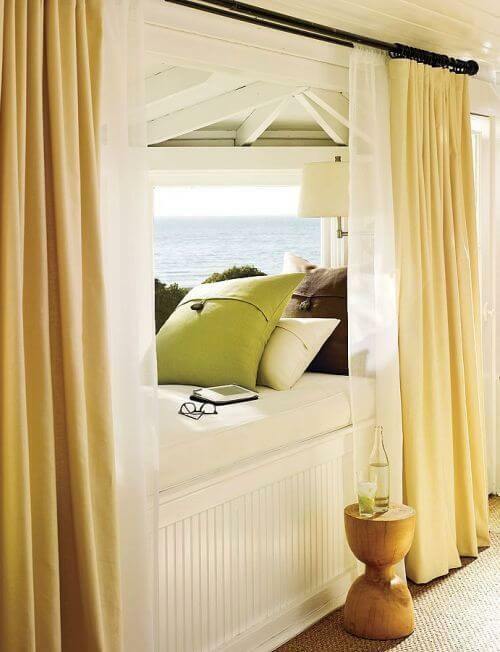 Create a reading nook in your bedroom and flak it with curtains to create a more cozy space. A living room would be complete with a reading nook like this. You can combine a lot of different pillows to make the space stylish and comfortable.